It’s peculiar, nostalgic, family friendly, and certainly off-the-radar. It’s the Fernandina Beach Pinball Museum, and it is one of the oddest and most appealing attractions on Amelia Island. Below is your guide to this throwback museum, featuring bizarre stories about the pinball machine and some extremely rare pinball-related items. This is your chance to share in this infinitely fun and universal hobby. What is the Fernandina Beach Pinball Museum? The museum is a private collection of authentic pinball machines throughout history. Many of the machines come from the 50’s and 60’s, when the rise of entertainment centers in casinos, boardwalks, bowling alleys, and other local activity spots began to proliferate. Some of the machines date back to the 30’s while a number of the pinball machines come from the present day. This includes a Game of Thrones-themed pinball machine that is quite the attraction. The nostalgic Twilight Zone pinball game is another popular game. Best yet, they all work. Guests are allowed to play as long as they please. 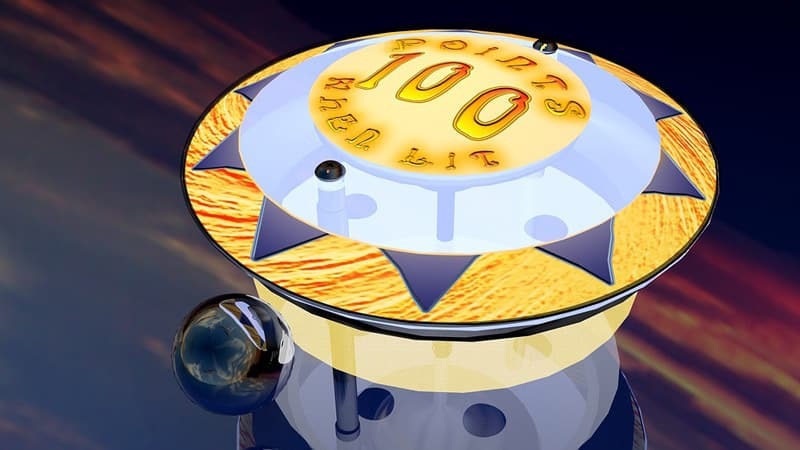 Prizes are available to players that can reach certain top scores. Team games can be set up or players can go at it solo. The pinball museum highlights of the trajectory of development in pinball, from the humility of simple games in simple environments to complex machines incorporating traps, new game additions, multiple balls at once, incredible art, and many other features. Pinball is a culmination of many creative arts fields, and the museum displays that cultural arts progressiveness in a weird and fun way. All of the above features are unique and neat, but it amounts to little if you can’t actually play. Fortunately, visitors to the Fernandina Beach Pinball Museum can play for the whole day, besting siblings and parents in some rambunctious and competitive games on about 20 select pinball machines. The highlight for enthusiasts is the Ballyhoo Pinball machine. This is the original 1932 machine that started the massive success of the Bally Corporation, now a major player in slot machine development and casinos. You can learn about the humble beginnings of this massive entertainment conglomerate right here. It all started with a round metal ball. The pinball museum is one of the island’s most affordable attractions. The cost is $14 per adult and $12 for children under 12. The museum offers a one-hour special so you can check out the area and get a taste of the games for $10 per person, all ages. The regular-priced admission includes unlimited play for the entire day, as long as the pinball museum is open. Come early to maximize your time to play. You can visit the museum from 3 p.m. to 8 p.m. Wednesdays through Fridays. It is open from noon to 8 p.m. on Saturdays and only noon to 6 p.m. on Sundays. Unfortunately, the museum is currently closed on Mondays and Tuesdays. This oddball museum is located at 2106 Sadler Rd, Fernandina Beach, FL 32034. The Fernandina Beach Pinball Museum is only one of many attractions in the area. You can find an assortment of fresh family friendly activities all throughout Amelia Island. Contact us at (800) 741-4011 to learn about the features of our oceanfront Amelia island vacation rentals. Learn more about or extended stays, bargain discounts, and amenities while you explore the odd little local favorites of Amelia Island.